The professor lost his job at the U?niversity of Mississippi as result of anonymous online comments in a forum. Submitted Oct. 4, 2016, at Detroit. Decided Dec. 6, 2016, at 9:00 a.m.
Before: FORT HOOD, P.J., and GLEICHER and O'BRIEN, JJ. The issues presented in these appeals boil down to one simple question: Are the identities of anonymous scientists who comment on other scientists' research online protected by the First Amendment? According to his complaint, plaintiff, "Fazlul H. Sarkar, PhD, is a distinguished professor of pathology at Karmanos Cancer Center, Wayne State University with a track record of cancer research over 35 years. "1 Sarkar began his research at Wayne State University in 1989, and "his work has led to the discovery of the role of chemopreventive agents in sensitization of cancer cells (reversal of drug resistance) to conventional therapeutics (chemo-radio-therapy)." Dr. Sarkar alleges that "[h]e is a perfect example of a true translational researcher bringing his laboratory research findings into clinical practice," that he "is involved in several collaborative projects including breast, lung, and pancreatic cancer," that " [h]e has published over 430 original scientific articles in peer-reviewed journals," that he has written or reviewed hundreds of articles and book chapters, that he has edited several books, that he has received numerous publicly funded grants, and that he has trained a variety of pre- and post-doctoral students. In short, it appears undisputed that he is well-accomplished in the cancer-research community. It is presumably these accomplishments that led to Sarkar pursuing employment with the University of Mississippi in 2013. According to Sarkar, the University of Mississippi presented him with the "anticipated terms of an offer of a position" in September 2013, which set forth several terms of employment, including, most notably, tenure, a $350,000 salary, $15,000 in relocation expenses, "[a] start up package of $750,000," and a variety of other benefits. In March 2014, the University of Mississippi formally offered him this position, Sarkar accepted, and he resigned from Wayne State University approximately two months later. Sarkar relocated to Oxford, Mississippi, shortly thereafter and was set to begin his employment with the University of Mississippi in July 2014. At some point, however, "his start date was adjusted to August 1, 2014 per later agreement and approval...."
Obviously unhappy with the outcome of his employment offer with the University of Mississippi, the comments on pubpeer.com, and the distribution of the flyer to Wayne State University personnel, Sarkar pursued a variety of legal remedies, including this lawsuit. On October 9, 2014, Sarkar filed this five-count lawsuit against defendants, "John and/or Jane Doe(s)." Sarkar alleged, in pertinent part, that the comments made on pubpeer.com were defamatory, that the comments made on pubpeer.com and forwarded to the University of Mississippi intentionally interfered with a business expectancy, that the comments made on pubpeer.com and forwarded to Wayne State University intentionally interfered with a business relationship, that the posting of an e-mail from Wayne State University personnel on pubpeer.com and in public constituted an invasion of privacy, and that the circulation of the flyer was intended to inflict emotional distress. In an attempt to learn the identities of the individual or individuals who were responsible for the actions at issue, Sarkar subpoenaed the records of appellant, PubPeer Foundation (PubPeer), the entity that operates pubpeer.com, seeking the following: "All identifying information, including but not limited to user names, IP addresses, email addresses, profile information, and any other identifying characteristics of all users who have posted any of the comments that were posted on your web site that are described in the attached complaint that was filed in Wayne county, MI." Although somewhat unclear from his complaint and subpoena, it appears that Sarkar sought all identifying information for approximately 30 comments made on pubpeer.com about his research. PubPeer objected, moving to quash the subpoena on First Amendment grounds. Analyzing each comment at issue, PubPeer also argued that Sarkar failed to adequately plead the allegedly defamatory comments, that the allegedly defamatory comments were not capable of defamatory meaning, that the communications sent to or distributed at the universities were insufficiently connected to PubPeer, and that the balance of interests in this case favored preserving scientists' ability to anonymously comment on other scientists' research. Sarkar responded, arguing that "[t]his case is not about free speech." Rather, he asserted, "[i]t is about tortious conduct that is destroying a man's life and career." Sarkar described the anonymous commenter or commenters as "an enemy [or enemies] hiding behind the anonymity afforded by the internet" who is or are "sabotaging" his career. Sarkar, relying on the fact that one John Doe had already filed an appearance, argued that no preliminary showing was required and that, at best, the appearing John Doe could seek a protective order on behalf of himself. Sarkar also argued that his complaint was adequate, that he had alleged torts beyond defamation, that the confidential nature of misconduct proceedings had been breached, that the comments at issue were defamatory, and, ultimately, that disclosure of the commenters' identities was necessary to seek the legal remedy to which he was entitled. A hearing on PubPeer's motion to quash was held on March 5, 2015. After hearing arguments similar to those already discussed, the trial court granted, in part, PubPeer's motion to quash.5 Specifically, the trial court granted the motion in full with the exception of one subparagraph in Sarkar's complaint: Paragraph 40(c). The trial court reserved its ruling on Paragraph 40(c) for a later date after the parties were afforded additional time for supplemental briefing. A second hearing on PubPeer's motion to quash was held two weeks later on March 19, 2015. After reviewing the parties' supplemental briefs and hearing additional argument, the trial court denied PubPeer's motion to quash with respect to Paragraph 40(c).6 These appeals followed. On April 20, 2015, the trial court granted PubPeer's motion to stay proceedings pending the outcome of these appeals. Generally, we review for an abuse of discretion a trial court's decision on whether to compel discovery. Cabrera v. Ekema, 265 Mich.App. 402, 406, 695 N.W.2d 78 (2005). We review de novo however a trial court's decision to grant summary disposition. Maiden v. Rozwood, 461 Mich. 109, 118, 597 N.W.2d 817 (1999). Similarly, constitutional issues, including the application of the First Amendment, are also reviewed de novo. Smith v. Anonymous Joint Enterprise, 487 Mich. 102, 111–112, 793 N.W.2d 533 (2010). Sarkar first argues that the trial court's March 9, 2015 order must be reversed because the court erred by allowing PubPeer, a nonparty, to argue standards for summary disposition. Relatedly, Sarkar also argues that the trial court erroneously heightened the pleading standard for defamation as well as erroneously refused to consider a protective order pursuant to MCR 2.302. Ultimately, these arguments are each part of Sarkar's ultimate position before the trial court and before this Court on appeal: Sarkar argues that Thomas M. Cooley Law Sch. v. Doe 1, 300 Mich.App. 245, 833 N.W.2d 331 (2013), not Ghanam v. John Does, 303 Mich.App. 522, 845 N.W.2d 128 (2014), controls the outcome of this case. We will address each case in turn, as well as their application to this matter. Thomas M. Cooley Law School (Cooley or the school), described the school as " 'THE BIGGEST JOKE of all law schools,' " characterized the school as having an " 'open door' policy" for admission, criticized the school's attrition rate and administrative policies, cited rankings, described the school as " 'A DIPLOMA MILL,' " and called the school's graduates "unemployed." Id. at 251, 833 N.W.2d 331. The speaker "permitted visitors to post their own comments on the website, and frequently responded to the commentators," but he eventually " began to 'filter' comments, noting that he would delete 'any stupid or irrelevant comments or personal attacks[.]' " Id. (alteration in original). Cooley eventually filed a lawsuit in the Ingham Circuit Court against multiple anonymous defendants, alleging defamation against the anonymous speaker who created the website as well as the other anonymous commenters. A California Court subsequently granted Cooley's petition for a subpoena to compel California-based Weebly, Inc. (Weebly), the entity that operated weebly.com, "to produce documents that included [the speaker]'s user account information." Id. at 251–252, 833 N.W.2d 331. The anonymous speaker then moved in the Ingham Circuit Court to quash the subpoena or for a protective order, but, in the meantime, an employee of Weebly disclosed the speaker's identity to the school. Id. at 252, 833 N.W.2d 331. After learning the speaker's identity, the school filed an amended complaint that identified the speaker by his legal name. Id. In addressing the speaker's motion to quash or for a protective order, the trial court first struck the school's amended complaint and ordered that the school not continue discovery or disclose the speaker's identity further. Id. at 252–253, 833 N.W.2d 331. Ultimately, however, the trial court denied the speaker's motion to quash, reasoning that the speaker's statements at issue were slanderous per se and, therefore, not entitled to First Amendment protection under Dendrite Int'l, Inc. v. Doe, No. 3, 342 N.J.Super. 134, 775 A.2d 756 (N.J.Super.Ct.2001), and Doe No. 1 v. Cahill, 884 A.2d 451 (Del.2005). Cooley, 300 Mich.App. at 253, 833 N.W.2d 331. We conclude that the trial court abused its discretion, which requires reversal. A trial court by definition abuses its discretion when it inappropriately interprets and applies the law. First, the trial court erroneously concluded that Michigan law does not adequately protect [the speaker's] interests, and then it erroneously adopted and applied foreign law. Second, the trial court's findings and conclusions in support of its position were erroneous. Third, the trial court did not state any reason supporting its decision to deny [the speaker's] alternative request for a protective order. After adopting the Dendrite and Cahill standards as Michigan law, the trial court appears to have considered only two alternatives: (1) that the subpoena should be quashed and Cooley's case dismissed, or (2) that the subpoena should not be quashed and the case should proceed with [the speaker's] name on the complaint. But Michigan law does not address only these polar opposites. [The speaker] also asked for a protective order under MCR 2.302(C). The trial court's order indicates that it denied [the speaker's] requests for a protective order "for reasons stated on the record." But the trial court did not state any reasons on the record to deny the protective order. The trial court appears not to have considered whether or to what extent to protect [the speaker's] identity after it determined not to quash the subpoena. On remand, the trial court should consider whether good cause exists to support [the speaker's] request for a protective order. Next, the trial court ruled that defamatory statements per se were not entitled to First Amendment protections. The trial court was incorrect. Not all accusations of criminal activity are automatically defamatory. To put it simply, defamation per se raises the presumption that a person's reputation has been damaged. In that instance, a plaintiff's failure to prove damages for certain charges of misconduct would not require dismissal of the suit. Whether a plaintiff has alleged fault—which may require the plaintiff to show actual malice or negligence, depending on the status of the speaker and the topic of the speech—concerns an element separate from whether the plaintiff has alleged defamation per se. Thus, the trial court erroneously concluded that Cooley would not have to prove fault or other elements because the statements were defamatory per se. More importantly, this erroneous determination was central to the considerations the trial court may balance when determining whether to issue a protective order. As noted above, a trial court may consider that a party seeking a protective order has alleged that the interests he or she is asking the trial court to protect are constitutionally shielded. But the trial court need not, and should not, confuse the issues by making a premature ruling—as though on a motion for summary disposition—while considering whether to issue a protective order before the defendant has filed a motion for summary disposition. The trial court should only consider whether good cause exists to issue a protective order, and to what extent to grant relief under MCR 2.302(C). In Ghanam, 303 Mich.App. at 525, 845 N.W.2d 128, several anonymous speakers made what the plaintiff characterized as "false and malicious statements about plaintiff on an Internet message board called The Warren Forum." The statements at issue included allegations that the plaintiff was "involved in the disappearance and theft of approximately 3,647 tons of road salt from city storage facilities and of stealing tires from city garbage trucks and selling them." Id. Taking the position that these statements " 'prejudiced and caused harm to the Plaintiff in his reputation and office and held Plaintiff up to disgrace, ridicule, and contempt,' " the plaintiff filed a defamation lawsuit against the anonymous speakers and sought to depose a former city employee who "plaintiff believed ... was affiliated with the website" to learn the speakers' identities. Id. at 525, 527, 845 N.W.2d 128. The former city employee, a nonparty, "moved for a protective order against his deposition, arguing that the First Amendment protects a critic's right to anonymously comment about the actions of a public official and that the identities of the anonymous writers were subject to a qualified privilege." Id. at 527, 845 N.W.2d 128. Specifically, the former city employee "argued that before plaintiff could seek to compel the identification of the anonymous posters, he must produce sufficient evidence supporting each element of a cause of action for defamation against a public figure." Id. The trial court, without "consider[ing] or acknowledg[ing] the First Amendment aspects involved," "merely relied on the open and liberal discovery rules of Michigan" and denied the motion for a protective order. Id. at 527–528, 845 N.W.2d 128.
for the entry of an order granting summary disposition in the anonymous speakers' favor. Id. at 543–550, 845 N.W.2d 128. In our view, this case does not fit neatly into the framework articulated by Cooley or Ghanam. As Sarkar argues, Cooley is similar in that it involved a defendant who had appeared. As PubPeer argues, however, Cooley differs in that it involved a defendant whose identity had already been disclosed to the plaintiff. That is, to date, the identities of the anonymous speakers in this case are not yet known by Sarkar.7 On the other hand, as PubPeer argues, Ghanam is similar in that it involved a defendant whose identity had not yet been disclosed to the plaintiff. As Sarkar argues, however, Ghanam differs in that it involved a situation in which seemingly no defendants were aware of nor had appeared in the matter. That is, as of now, one anonymous defendant is aware of and has filed an appearance in this matter. Given these differences, the protection schemes articulated in Cooley and Ghanam, while helpful, do not control the outcome of this case. Nevertheless, it is our opinion that the framework as set forth in Ghanam is most appropriate here. In essence, Sarkar's position is simple: He argues that because a defendant has appeared, PubPeer cannot argue that the standards for summary disposition should apply to this issue. We cannot agree with this position. First Amendment.' " Id., quoting McIntyre v. Ohio Elections Comm., 514 U.S. 334, 342, 115 S.Ct. 1511, 131 L.Ed.2d 426 (1995). However, "[t]he right to anonymous expression over the Internet does not extend to defamatory speech, which is not protected by the First Amendment." Ghanam, 303 Mich.App. at 534, 845 N.W.2d 128. While courts in other jurisdictions have tried, "[t]o very different extents," "to balance a defendant's right to speak anonymously against a plaintiff's interest in discovering the information necessary to prosecute its defamation claims," Cooley, 300 Mich.App. at 257, 833 N.W.2d 331, this Court has clearly held that "Michigan's procedures for a protective order, when combined with Michigan's procedures for summary disposition, adequately protect a defendant's First Amendment interests in anonymity," id. at 264, 833 N.W.2d 331, and we are bound by that decision, MCR 7.215(J)(1).9 Thus, as recognized by Cooley, 300 Mich.App. at 259–264, 833 N.W.2d 331, it is this state's procedures for protective orders and summary disposition that control in this circumstance. A party commences a civil action when he or she files a complaint with the court. Id. at 259, 833 N.W.2d 331. After doing so, a party is permitted to " 'obtain discovery regarding any matter, not privileged, which is relevant to the subject matter involved in the pending action[.]' " Id. at 260, 833 N.W.2d 331, quoting MCR 2.302(B)(1). Generally, "Michigan follows a policy of open and broad discovery." Cooley, 300 Mich.App. at 260, 833 N.W.2d 331. Nevertheless, "a trial court should protect parties from excessive, abusive, or irrelevant discovery requests" by issuing a protective order when appropriate. Id. at 260–261, 833 N.W.2d 331. In deciding whether to issue a protective order, courts use the procedure set forth in MCR 2.302(C). Id. at 261, 833 N.W.2d 331. Relatedly, courts may also grant summary disposition under MRC 2.116(C)(8) when the opposing party has failed to state a viable claim. Id. Summary disposition should be granted under Subrule (C)(8) "if the claim is so clearly unenforceable as a matter of law that no factual development could possibly justify the opposing party's right to recovery." Id. at 262, 833 N.W.2d 331. As this Court explained in Cooley, id., "[t]he availability and application of summary disposition is important in this case because summary disposition is an essential tool to protect First Amendment rights." Consequently, under Ghanam, 303 Mich.App. at 540, 845 N.W.2d 128, "when an anonymous defendant in a defamation suit is not shown to be aware of or involved with the lawsuit, some showing by the plaintiff and review by the trial court are required in order to balance the plaintiff's right to pursue a meritorious defamation claim against an anonymous critic's First Amendment rights." In this case, that requires Sarkar to satisfy the two additional requirements imposed by the Ghanam panel: (1) Sarkar "must have made reasonable efforts to provide the anonymous commenter with reasonable notice that he or she is the subject of a subpoena or motion seeking disclosure of the commenter's identity," and (2) Sarkar's "claims must be evaluated by the court so that a determination is made as to whether the claims are sufficient to survive a motion for summary disposition under MCR 2.116(C)(8)." Id. at 541, 845 N.W.2d 128. With respect to the reasonable-notice requirement, there is no dispute in this case that reasonable notice was provided, and we see no reason to address this issue further.11 Therefore, the primary issue we need to address here is whether the second requirement—that is, whether Sarkar's claims could survive a motion for summary disposition under MCR 2.116(C)(8) —is satisfied. We conclude that it is not. made in the complaint must be viewed in a light most favorable to the nonmoving party and accepted as true. Id. at 261–262, 833 N.W.2d 331. "The trial court will grant the motion if the claim is so clearly unenforceable as a matter of law that no factual development could possibly justify the opposing party's right to recovery." Id. at 262, 833 N.W.2d 331. At issue on appeal is whether the statements identified in Sarkar's complaint are capable of defamatory meaning. "A communication is defamatory if it tends so to harm the reputation of another as to lower him in the estimation of the community or to deter third persons from associating or dealing with him" Smith, 487 Mich. at 113, 793 N.W.2d 533 (citation and quotation marks omitted). "To be considered defamatory, statements must assert facts that are 'provable as false.' " Ghanam, 303 Mich.App. at 545, 845 N.W.2d 128, quoting Milkovich v. Lorain Journal Co., 497 U.S. 1, 19, 110 S.Ct. 2695, 111 L.Ed.2d 1 (1990). " 'The dispositive question ... is whether a reasonable fact-finder could conclude that the statement implies a defamatory meaning.' " Ghanam, 303 Mich.App. at 545, 845 N.W.2d 128, quoting Smith, 487 Mich. at 128, 793 N.W.2d 533. "The context and forum in which statements appear also affect whether a reasonable reader would interpret the statements as asserting provable facts," and this Court has recognized "that Internet message boards and similar communication platforms are generally regarded as containing statements of pure opinion rather than statements or implications of actual, provable fact." Ghanam, 303 Mich.App. at 546–547, 845 N.W.2d 128. "Whether a statement is actually capable of defamatory meaning is a preliminary question of law for the court to decide." Id. at 544, 845 N.W.2d 128. 41. 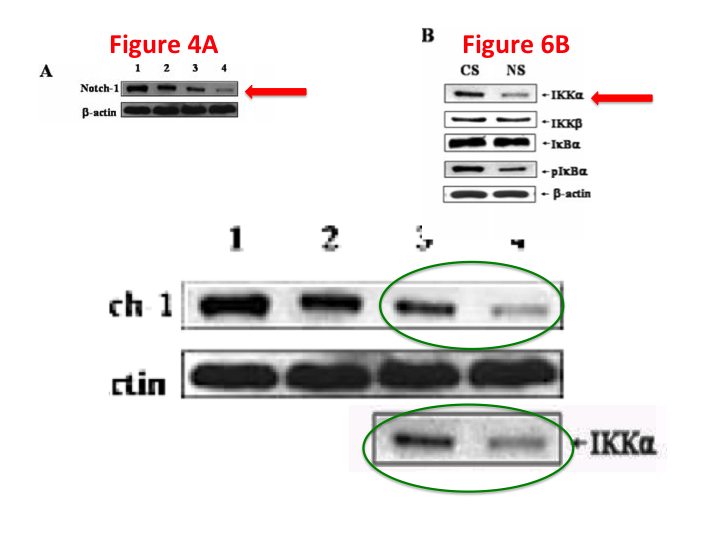 At https://pubpeer.com/publications/16546962 there are comments that conclude that certain figures are "identical" to others, accusing him of research misconduct. 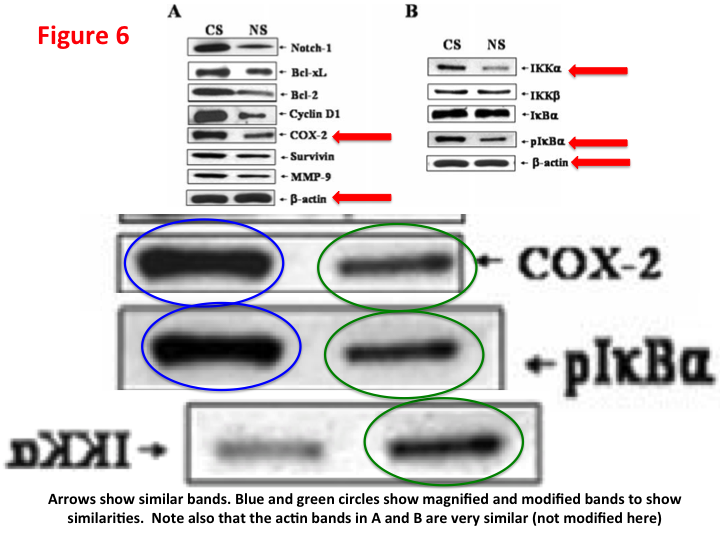 At https://pubpeer.com/publications/21680704 there are comments that conclude that certain figures show "no vertical changes," are the "same bands," and are "identical" to others, also accusing him of research misconduct. At https://pubpeer.com/publications/2D67107831BCCB85BA8EC45A72FCEF, another discussion takes place among anonymous posters, accusing Dr. Sarkar of "sloppiness" of such magnitude that it calls into question the scientific value of the papers. The comments further demand a "correction" with a "public set of data to show that the experiments exist," falsely stating that the data were false and that the experiments were fabricated. data. The same, or perhaps a different unregistered submission concludes: "One has to wonder how this was not recognized earlier by the journals, reviewers, funding agencies, study sections, and the university. Something is broken in our system." At https://pubpeer.com/publications/21680704, "Inactivation of AR/TMPRSS2–ERG/Wnt signaling networks attenuates the aggressive behavior of prostate cancer cells, " accusations include "no vertical changes ... problematic," and "same image." On July 24, 2014, at https://pubpeer.com/publications/22806240, "Activated K–Ras and INK4a/Arf deficiency promote aggressiveness of pancreatic cancer by induction of EMT consistent with cancer stem cell phenotype, " a comment made from "Peer 3" contains the comment "There seems to be a lot more 'honest errors' to correct," with the quotes communicating that they were not honest errors. The interaction between anonymous posters in the paragraphs above suggests that multiple users are independently conversing about Dr. Sarkar and making false accusations about him. On information and belief, these are from the same person pretending to have a dialogue with someone else, or persons working in concert. night, one responding to the other just 56 minutes later. See: https://pubpeer.com/publications/A3845DA138FC83780CB5071ED74AEC, "Concurrent Inhibition Of NF–Kappab, Cyclooxygenase–2, And Epidermal Growth Factor Receptor Leads To Greater Anti–Tumor Activity In Pancreatic Cancer." This is either a very odd coincidence that two scientists were independently reading the same page regarding Dr. Sarkar (in the example stated in this paragraph, a page regarding a 2010 paper that at the time had only had 151 views)—on the same day, in the middle of the night; or drawing a reasonable inference from these facts, it's the same person feigning a dialogue; or two persons working in concert with one another. These probably fake dialogues are an attempt to falsely communicate that there are more scientists concerned about Dr. Sarkar, and more persons communicating accusations, than there actually are. This is significant because there are so many criticisms of Dr. Sarkar that rely on the sheer number of PubPeer comments as an indication that he must be engaged in misconduct. See, for example, the examples cited at paragraphs 40(d) and 48, above. a. There are two comments at this page: https://pubpeer.com/publications/5A875EBFF7D16C8CCE342257412E5B, "B–DIM Impairs Radiation–Induced Survival Pathways Independently Of Androgen Receptor Expression and Augments Radiation Efficacy in Prostate Cancer. " These two comments are in April and July, 2014, concerning a 2012 paper with no previous comments. This indicates someone intentionally seeking to increase the number of papers with comments on PubPeer. c. Another comment was made on July 24, 2014 at 7:04 AM from "Peer 1" at https://pubpeer.com/publications/997E578FC0B61F6BAE1974D4051157, "Mitochondrial Dysfunction Promotes Breast Cancer Cell Migration and Invasion through HIF1á Accumulation via Increased Production of Reactive Oxygen Species." This doubled the amount of comments on this 2006 paper. d. A July 13, 2014 comment was made about a 2005 paper that previously had no comments: https://pubpeer.com/publications/6B44D6D4111B59BAB78E642C8D1758, "Molecular Evidence for Increased Antitumor of Gemcitabine by Genistein in Vitro and in Vivo Using an Orthopedic Model of Pancreatic Cancer." garnered only one comment on PubPeer, many of them extremely recent comments on relatively old papers. When Colo357 lane for 0 and 25 in 3B is flipped it looks similar to the control and genistein in Fig. 3D for Colo357. a. In this discussion, "Peer 1's" commentary begins with an invitation for the reader to compare certain illustrations with others. But then an unregistered submission links to another page, where someone sarcastically asserted that a paper "[Used] the same blot to represent different experiment(s). I guess the reply from the authors would be inadvertent errors in figure preparation." b. Perhaps that same unregistered submission complains, "You might expect the home institution to at least look into the multiple concerns which have been rasied." (sic) This statement is defamatory. Given the regulatory scheme described above that requires such investigations only where there are "good faith" complaints of "alleged research misconduct" [deliberate fabrication, falsification, or plagiarism], this unknown author has accused Dr. Sarkar of deliberate misconduct. "currently funded by five National Institutes of Health RO1grants"
That probably works out at about $200k per PubPeer comment. I should think that NIH must be pretty happy with such high productivity. The last author is now correcting "errors" in several papers. Hopefully he will be able to address and correct the more than 45 papers (spanning 15 years of concerns: 1999–2014), which were all posted in PubPeer. "Sarkar has published more than 525 scholarly articles"
... nearly 50 of which have attracted comments on PubPeer! It's not hard to imagine why Wayne State may not have fought to keep him. And presumably the movers and shakers at the University of Mississippi Medical Center didn't know that they should check out potential hires on PubPeer (they just counted the grants and papers). I wonder which institution gets to match up NIH grants with papers on PubPeer. It can only be a matter of time, grasshopper, but that time may still seem long. You saw it first on PubPeer. From a look at this PI's funding on NIH website it seems this lab has received over $13 million from NIH during the last 18 years. An online CV shows he has received DOD funds as well, bring the federal fund total close to $20 million. Why isn't the NIH and DOD investigating? The problems came to light only because they were gel photos. What else could be wrong? Figures, tables could be made-up or manipulated as well. The problems on PubPeer is for about 50 papers-all based on image analysis. That is just 10% of the output from this lab (or $2 million worth of federal dollars). What about the other 90%? Sadly this is what happens when research output becomes a numbers game. An equivalent PI would be happy to have just 50 high impact papers properly executed, that moves the research field forward. This lab has 500; but now it will be very difficult to figure out the true scientific value of any of them. Sad! preparation," which also accuse him of research misconduct and sarcastically noting that any defense to the contrary would be inadequate. The last author has more than 20 papers commented in Pubpeer. "The last author has more than 20 papers commented in Pubpeer." Presumably the journals know and his university knows. How long would it have taken for you to find out from them? Still counting. An Erratum to a report this previous PubPeer comment has been published by the authors in Int J Cancer. 2014 Apr 15;134(8):E3. In the erratum, the authors state that: "An error occurred during the creation of the composite figure for Fig–5B (Rb) and Fig–6B (I?B?) which has recently been uncovered although it has no impact on the overall findings and conclusions previously reported"
Based on these issues, can we agree with the authors that "an ERROR occurring during the creation of the composite figures" and that these (and previous "errors") have "NO IMPACT on the overall findings and conclusions previously reported"? FH Sarkar has never replied to any of the Pubpeer comments. true even if the speaker expresses his or her opinion anonymously. Cooley, 300 Mich.App. at 256, 833 N.W.2d 331. Each of these paragraphs reflects the speaker's opinion based on underlying facts that are available to the reader. Specifically, Sarkar expressly admits in his complaint that the comment at issue in Paragraph 40(a) "begins with an invitation for the reader to compare certain illustrations with others," the comment at issue in Paragraph 40(b) was in response to the same underlying facts as Paragraph 40(a), and the comment at issue in Paragraph 40(d) is in response to those underlying facts as well. Similarly, the comments at issue in Paragraphs 43, 48, and 49 are all also part of discussions based on underlying facts that are available on the same webpages on pubpeer.com. These are precisely the type of opinion statements that state and federal courts have consistently held are protected by the First Amendment, and we believe the same should be true in Michigan as well. Accordingly, summary disposition pursuant to MCR 2.116(C)(8) was appropriate with respect to Paragraphs 40(a), (b), and (d), 43, 48, and 49, and the trial court correctly granted PubPeer's motion to quash in this regard. Has anybody reported this to this institute? "Thank you for your e-mail, which I have forwarded to the appropriate individual within Wayne State University. As you are aware, scientific misconduct investigations are by their nature confidential, and Wayne would not be able to comment on whether an inquiry is under way, or if so, what its status might be." "Thank you for bringing this matter to our attention." On appeal, Sarkar claims that the trial court's decision with respect to Paragraph 40(c) was correct because the statement at issue "is a clear indication that [the speaker] is alleging that Dr. Sarkar committed research misconduct—which is a public accusation at the very heart of Dr. Sarkar's case (and contrary to PubPeer's denials that such an accusation was never made on their web site)." The trial court apparently agreed to an extent, opining that "there could be an inference that this was of a nature to attempt to defame Dr. Sarkar." Ultimately, it appears that Sarkar argues and that the trial court concluded that these statements—in context and when coupled with the public disclosure of the Wayne State University e-mail—are capable of defamatory meaning. We cannot agree with this reasoning. Sarkar additionally argues that, while the individual statements taken in isolation may not appear capable of defamatory meaning, a reasonable person reviewing the entirety of the comments regarding Sarkar's research on pubpeer.com would find them defamatory. In essence, it is Dr. Sarkar's position that all criticism of his research on pubpeer.com is defamatory and therefore not protected by the First Amendment. For similar reasons as those articulated with respect to Paragraphs 40, 43, 48, and 49, we conclude that the anonymous speakers' criticism of Sarkar's research, even when reviewed as a whole and in the appropriate context, is not capable of a defamatory meaning. As stated earlier in this opinion, the First Amendment protects an individual's right to speak anonymously. Cooley, 300 Mich.App. at 256, 833 N.W.2d 331. However, defamatory statements are not entitled to this same protection. Ghanam, 303 Mich.App. at 534, 845 N.W.2d 128. "To be considered defamatory, statements must assert facts that are 'provable as false.' " Id. at 545, 845 N.W.2d 128 (citation omitted). Nevertheless, state and federal courts alike have consistently held that "when a speaker outlines the factual basis for his conclusion, his statement is protected by the First Amendment." Partington, 56 F.3d at 1156. That is, when a speaker presents a factual basis for the opinion he or she reached, the opinion is not capable of defamatory meaning. Id. As already indicated, we conclude that the statements posted on pubpeer.com that were identified in Sarkar's complaint are not capable of defamatory meaning. Therefore, with respect to those statements, summary disposition pursuant to MCR 2.116(C)(8) is appropriate. However, the flyer that was allegedly distributed to Wayne State University personnel presents a different issue. According to Sarkar, the distributed flyer implied that he was under senatorial investigation when in fact he was not. Accepting that allegation as true, we agree that summary disposition pursuant to MCR 2.116(C)(8) with respect to Sarkar's defamation claim based on that flyer is inappropriate at this time. With that being said, it is still necessary for us to determine whether, and to what extent, Sarkar is permitted to unmask the identities of commenters on pubpeer.com as it relates to that flyer, and it is our view that he is not entitled to unmask the identities of any of those commenters. Stated simply, there is no reasonable connection between the flyer and pubpeer.com. While the flyer included a screenshot of a webpage on pubpeer.com, pubpeer.com is a public website available to, literally, everyone. While Sarkar asks this Court to assume the flyer was likely distributed by someone who criticized his research on pubpeer.com and therefore unmask the identities of all the individuals who have commented on his research on that website—we simply cannot do so. In short, individuals are entitled under the First Amendment to make anonymous statements, and the mere fact that someone later prints some of those anonymous statements and distributes them does not suddenly destroy that protection. Accordingly, we conclude that while Sarkar's defamation claim may nevertheless proceed, he is not entitled to discovery from PubPeer in this regard. On appeal, Sarkar also argues that the trial court's March 9, 2015 order must be reversed because the court erred by considering affidavits, erred by making factual inferences against him, and erred by requiring the production of evidence. In essence, Sarkar argues that the trial court misapplied MCR 2.116(C)(8) under Ghanam. As stated earlier in greater detail, a motion for summary disposition under MCR 2.116(C)(8) may be filed "when the opposing party has failed to state a claim on which relief can be granted." Cooley, 300 Mich.App. at 261, 833 N.W.2d 331. The motion "tests the legal basis of the complaint on the pleadings alone." Id. This standard requires that all factual allegations made in the complaint be viewed in a light most favorable to the nonmoving party and accepted as true. Id. at 261–262, 833 N.W.2d 331. Sarkar claims on appeal that the trial court impermissibly considered two affidavits in reaching its decision, which is undisputedly prohibited by MCR 2.116(C)(8). However, Sarkar does not point to anything in the record to support his claim that the trial court actually considered the affidavits in reaching its decision.21 Therefore, this argument is abandoned. [897 N.W.2d 231] Peterson Novelties, Inc., 259 Mich.App. at 14, 672 N.W.2d 351. Moreover, we are unable to find any mention of these affidavits by the trial court in the entire record. Accordingly, this claim of error is meritless. Next, Sarkar claims on appeal that the trial court impermissibly made factual inferences against him, which is also undisputedly prohibited by MCR 2.116(C)(8). Again, however, Sarkar does not identify anything in the record to support his claim that the trial court made any factual inferences against him.22 Accordingly, this argument is abandoned as well. Id. Moreover, as with his argument with respect to the affidavits, we are unable to find any indication in the record that the trial court made any factual inferences in one party's favor over the other. Therefore, this claim of error is also meritless. counsel with a copy of the distributed document, Sarkar does not cite, and we are unable to find, any authority to support the proposition that this request requires reversal. Accordingly, this argument is also abandoned. Id. Furthermore, Sarkar's attorney expressly stated that he was "happy" to allow PubPeer's counsel an opportunity to review the document. Consequently, even if not abandoned, we deem the issue waived. The Cadle Co. v. Kentwood, 285 Mich.App. 240, 254–255, 776 N.W.2d 145 (2009). Moreover, this request, which appears to have been made for convenience purposes only, i.e., to allow PubPeer's counsel to know what document Sarkar's counsel was referring to, has no effect on the application of the First Amendment in this matter. Accordingly, the trial court's March 5, 2015 and March 19, 2015 orders are affirmed in part and reversed in part, and this matter is remanded for further proceedings consistent with this opinion. Specifically, the trial court's March 5, 2015 order partially granting summary disposition to defendants and partially granting PubPeer's motion to quash is affirmed, and its March 26, 2015 order denying summary disposition to defendants and denying PubPeer's motion to quash with respect to Paragraph 40(c) is reversed. Nevertheless, to the extent either order dismissed Sarkar's defamation claim with respect to the distributed flyer or his intentional interference with a business expectancy, intentional interference with a business relationship, invasion of privacy, or intentional infliction of emotional distress claims, we conclude that the trial court did so erroneously. Those claims may proceed; however, we hold that Sarkar is not entitled to unmask the identities of any speakers on pubpeer.com with respect to those claims due to the anonymity protections afforded by the First Amendment. Affirmed in part, reversed in part, and remanded for further proceedings consistent with this opinion. As the prevailing party, PubPeer may tax costs pursuant to MCR 7.219. FORT HOOD, P.J., and GLEICHER, J., concurred with O'BRIEN, J. 1 All quotations in Section I of our opinion are from the pleadings submitted by the parties in the trial court. In reviewing a trial court's decision on a motion for summary disposition pursuant to MCR 2.116(C)(8), we are required to accept the factual allegations in the pleadings, including in the complaint, as true. Wyoming Chiropractic Health Clinic, PC v. Auto–Owners Ins. Co., 308 Mich.App. 389, 391, 864 N.W.2d 598 (2014). Accordingly, quoting the pleadings is appropriate. 2 According to Sarkar's complaint, "Pubpeer.com ... is a web site that describes itself as 'an online community that uses the publication of scientific results as an opening for fruitful discussion among scientists.' " Pubpeer.com appears to have been created by anonymous scientists, and scientists are permitted to comment on pubpeer.com anonymously as well. 3 The contents of the flyer are discussed later in this opinion. 4 PubPeer also argued that Michigan courts should require that plaintiffs in defamation cases put forth evidence establishing a prima facie case of defamation before unmasking the identities of anonymous commenters as other jurisdictions have done. See, e.g., Dendrite Int'l, Inc. v. Doe, No. 3, 342 N.J.Super. 134, 141–142, 775 A.2d 756 (N.J.Super.Ct.2001) ; see also Doe No. 1 v. Cahill, 884 A.2d 451, 460–461 (Del.2005). PubPeer, John Doe (an anonymous defendant who filed an appearance and is a party to this appeal), and amici curiae (Google Inc., Twitter, Inc., Public Citizen, Inc., Dr. Bruce M. Alberts, and Dr. Harold E. Varmus) raise this same argument on appeal. However, as explained later in this opinion and acknowledged by those parties, this Court has declined to do so in the past, and we are bound by that decision. MCR 7.215(J)(1). 5 An order reflecting the trial court's decision was entered on March 9, 2015, and it is that order Sarkar challenges on appeal in Docket No. 326667. This Court granted Sarkar's application for leave to appeal in Docket No. 326667 on August 27, 2015. Sarkar v. Doe, unpublished order of the Court of Appeals, entered August 27, 2015 (Docket No. 326667). 6 An order reflecting the trial court's decision was entered on March 26, 2015, and it is that order PubPeer challenges on appeal in Docket No. 326691. This Court granted PubPeer's application for leave to appeal in Docket No. 326691 on August 27, 2015. Sarkar v. Doe, unpublished order of the Court of Appeals, entered August 27, 2015 (Docket No. 326691). The Court of Appeals ordered the appeals consolidated. 7 Additionally, and perhaps more importantly, Cooley is distinguishable from this matter in that Cooley, 300 Mich.App. at 252, 833 N.W.2d 331, involved a motion to quash or for a protective order filed by the anonymous speaker at issue, not a nonparty. See id. ("On August 5, 2011, Doe 1 filed a motion in the Ingham Circuit Court, requesting that it quash any outstanding subpoenas to Weebly or, alternatively, issue a protective order limiting or restricting Cooley's use or disclosure of his identifying information."). Conversely, this case involves a motion to quash by a nonparty relating, at least in part, to statements made by anonymous speakers who have not appeared. Therefore, while Cooley is still helpful to our analysis in this case, the circumstances presented in that case are not identical to those here as argued by Sarkar. 8 Because "[t]he United States and Michigan Constitutions provide the same protections of the freedom of speech," and Michigan's Constitution is not interpreted more broadly than that of the Federal Constitution on that issue, "this Court may consider federal authority when interpreting the extent of Michigan's protections of free speech." Cooley, 300 Mich.App. at 256, 833 N.W.2d 331. 9 In Cooley, 300 Mich.App. at 266–267, 833 N.W.2d 331, a panel of this Court expressly refused to adopt Dendrite, reasoning that any expansion beyond the Michigan rules of civil procedure would be better accomplished by the Legislature. 10 As indicated earlier in this opinion, Sarkar argues on appeal that the appearance of one anonymous speaker, in and of itself, renders Ghanam wholly inapplicable. We cannot agree. The practical implications of such an understanding are unacceptable. In essence, that understanding would require that the appearing anonymous speaker represent the interests of all anonymous speakers, and that is simply unacceptable in cases, such as this one, in which the anonymous speakers made different statements. There is simply no legal authority that would support a conclusion that the appearance of one anonymous speaker somehow affects the anonymity protections afforded to other anonymous, but nonappearing, speakers simply because they happened to comment on the same website. Furthermore, Sarkar's position overlooks the fact that Ghanam expressly held that a motion for summary disposition, whether made by an anonymous speaker or a nonparty, is not required: "This evaluation [of the plaintiff's claims under MCR 2.116(C)(8) ] is to be performed even if there is no pending motion for summary disposition before the court. " Ghanam, 303 Mich.App. at 541, 845 N.W.2d 128 (emphasis added). Accordingly, the trial court was required to perform this MCR 2.116(C)(8) evaluation regardless of whether PubPeer, an anonymous speaker, or any other individual or entity moved for summary disposition. 11 The record reflects that a copy of Sarkar's complaint was posted to pubpeer.com. It also appears that this lawsuit, as well as the underlying allegation, has generated significant publicity in the cancer-research community. In sum, while neither party expressly agrees or disagrees that the reasonable-notice requirement was satisfied, it appears insignificant and is largely irrelevant in light of our conclusion with respect to the second requirement. 12 With respect to the third element, we note that Sarkar appears to be a limited-purpose public figure. Therefore, he is required to prove that the anonymous speakers acted with actual malice in making the statements at issue. VandenToorn v. Bonner, 129 Mich.App. 198, 207, 342 N.W.2d 297 (1983). Nevertheless, because none of the comments at issue is capable of defamatory meaning, we need not address whether the record reflects any indication of actual malice. 13 At the outset, it must be noted that, as a matter of law, facially deficient claims cannot survive a motion for summary disposition under MCR 2.116(C)(8). Ghanam, 303 Mich.App. at 543, 845 N.W.2d 128. Accordingly, because " '[a] plaintiff claiming defamation must plead a defamation claim with specificity by identifying the exact language that the plaintiff alleges to be defamatory,' " our review of whether statements are capable of defamatory meaning so as to survive a motion for summary disposition is limited to those statements that are specifically identified in the complaint. Id. at 543, 845 N.W.2d 128, quoting Cooley, 300 Mich.App. at 262, 833 N.W.2d 331 (alteration in original). We have therefore elected to quote, in full, each paragraph at issue in Sarkar's complaint. We would also note, however, that while we have attempted to copy the formatting used by Sarkar in his complaint as closely as possible, some spacing differs minimally. 14 See also Royal Palace Homes, Inc. v. Channel 7 of Detroit, Inc., 197 Mich.App. 48, 57, 495 N.W.2d 392 (1992) ("Plaintiffs must plead precisely the statements about which they complain. "); Gonyea v. Motor Parts Fed. Credit Union, 192 Mich.App. 74, 77, 480 N.W.2d 297 (1991) ( "These elements must be specifically pleaded, including the allegations with respect to the defamatory words, the connection between the plaintiff and the defamatory words, and the publication of the alleged defamatory words. "); Cooley, 300 Mich.App. at 266, 833 N.W.2d 331 ("[U]nder Michigan law, the plaintiff must allege the exact defamatory statements."). 15 To be clear, we are holding that Michigan law requires a plaintiff to specifically identify every statement that he or she claims is capable of defamatory meaning. In this case, Sarkar quotes certain words, some phrases, and provides citations to various webpages. This is insufficient. Indeed, the majority of the webpages that Sarkar cites have changed and no longer include the words or phrases that he quotes. For example, the webpage cited in Paragraph 41 of the complaint includes approximately 63 comments, the majority of which were made after he filed the complaint in this case. The comments were made between November 2013 and October 2016, beginning with invitations to "please compare" certain figures that appear similar and ending with a link to an article on retractionwatch.com that summarizes a Wayne State University investigation that found Sarkar had engaged in misconduct. 16 Nevertheless, we do recognize that ordinarily a plaintiff may be given an opportunity to amend a facially deficient complaint. See MCR 2.116(I)(5). However, for the reasons discussed later in this opinion, allowing Sarkar to amend his complaint would be futile, and it is therefore unnecessary. 17 We should note that we are assuming, for purposes of Paragraphs 40(a), (b), and (d), 43, 48, and 49, that Sarkar's complaint sufficiently identified the allegedly actionable statements. While we still believe that some of these paragraphs or subparagraphs are inadequate, we feel that we are able to provide meaningful review and choose to do so. Nevertheless, providing a citation to a webpage and quoting words or incomplete phrases is not sufficient. A statement of fact is not shielded from an action for defamation by being prefaced with the words "in my opinion," but if it is plain that the speaker is expressing a subjective view, an interpretation, a theory, conjecture, or surmise, rather than claiming to be in possession of objectively verifiable facts, the statement is not actionable. With regard to the second statement, Bugliosi merely outlines a set of facts, allowing the reader to draw his own conclusion about them. Even if we were to attribute to Bugliosi's statement the implication that Partington contends arises from it—that Partington represented his client poorly—Bugliosi can only be said to have expressed his own opinion after having outlined all of the facts that serve as the basis for his conclusion. 19 Sarkar also argues that by quoting the e-mail in a public post on pubpeer.com, the commenter violated various federal laws involving the confidentiality of research-misconduct investigations. However, he fails to fully develop this argument and he also fails to provide sufficient legal support for his claim to allow for meaningful review. Accordingly, we deem the argument abandoned. Peterson Novelties, Inc. v. City of Berkley, 259 Mich.App. 1, 14, 672 N.W.2d 351 (2003). In any event, we do not believe that the public disclosure of this e-mail—which specifically refused to confirm that Wayne State University was conducting a scientific-misconduct investigation of Sarkar's research—constitutes a violation of any federal laws that require confidentiality in research-misconduct investigations. See, e.g., 42 C.F.R. 93.108 (2005). 20 See also Orr v. Argus–Press Co., 586 F.2d 1108, 1114–1115 (C.A.6, 1978) (differentiating between a statement that "the plaintiff sits around in his back yard with a drink in his hand and therefore must be an alcoholic," which is not actionable, and a statement that "the plaintiff is an alcoholic," which is actionable) (citation and quotation marks omitted). The court's error in considering the (C)(8) factors was compounded when it considered the affidavit of Dr. Krueger (opining about Dr. Sarkar's research) attached to PubPeer's motion. Even assuming arguendo that the court were permitted to consider (C)(8) factors on the motion to quash, MCR 2.116 does not permit reference to affidavits in determining a(C)(8) motion by its plain language: "Only the pleadings may be considered when the motion is based on subrule (C)(8) or (9)." As argued above, because there was an appearing defendant, PubPeer was not permitted under Cooley to argue the standards of MCR 2.116(C)(8). The error was exacerbated by PubPeer's submission of two affidavits in support of their motion. They may not submit them, and this court may not consider them. Specifically, their expert's affidavit must be completely disregarded, and it is not harmless, because its focus was that the anonymous commenters' statements were substantially true and not defamatory—an argument the lower court considered. As is obvious from this quotation, Sarkar identifies nothing in the record to support his claim that the trial court considered these affidavits. In essence, Sarkar asks this Court to assume that, because they are included in the record, the trial court impermissibly relied on them, and that is certainly not an assumption we are willing to make. As argued in the first section, because there was an appearing defendant, PubPeer was not permitted under Cooley to even argue the standards of MCR 2.116(C)(8). The error was compounded by the court's interpretation of all of Dr. Sarkar's factual allegations, and the inferences therefrom, in a light favorable to PubPeer.Again, Dr. Sarkar fails to identify anything in the record to support his claim that the trial court made factual inferences against him other than to generally point to the tone of the trial court's "remarks." In essence, Sarkar is asking us to search the record for him in hopes of finding something to support this assertion, and it is not our duty to do so.23 Specifically, Sarkar argues, in entirety, as follows:PubPeer argued, and the court agreed, that plaintiff was required to produce evidence at this stage, to wit: the document that suggested Dr. Sarkar was under U.S. Senate inquiry. The transcript will indicate that after the court directed plaintiff produce this document, a copy was handed over on the record to the attorneys for PubPeer. For the same reasons set forth above, that any analysis under MCR 2.116(C)(8) must be based on the pleadings alone, this was plain error.24 Stated differently, when the alleged tortious conduct "is a defendant's utterance of negative statements concerning a plaintiff, privileged speech [protected by the First Amendment] is a defense." Lakeshore Community Hosp., Inc. v. Perry, 212 Mich.App. 396, 401, 538 N.W.2d 24 (1995).25 It should be noted, however, that Sarkar's complaint does not identify completely separate conduct as he claims. Rather, his complaint expressly identifies the comments on pubpeer.com as the basis or at least as part of the basis for more than just his defamation claim. For example, while Sarkar claims that the additional causes of action cite completely separate conduct, his intentional infliction of emotional distress claim expressly relies on "false statements made on PubPeer[.]" Thus, we feel it necessary to clearly state that, to the extent his other causes of action rely in any way upon the statements made on pubpeer.com, those causes of action may not proceed on remand because they are premised on constitutionally protected speech.26 Relatedly, we completely reject the idea that only the defamation claim is subject to First Amendment limitations. Using that logic, if Sarkar simply dismissed his defamation claim and continued with the other four claims with respect to the statements on pubpeer.com, there would be no First Amendment protection, and that is directly contrary to the United States and Michigan Constitutions as well as caselaw from Michigan, other states, and the federal courts, including the United States Supreme Court.